Its scope is still anyone’s guess, though a Mei skin is practically inevitable. Mei has her red envelopes ready. Do you have yours? This year, Blizzard Entertainment’s Overwatch will get an update in celebration of the Lunar New Year. “Good luck and great fortune await,” a tweet from Overwatch’s official Twitter account reads. The short video reveals the event will go live next week on Jan. 24, but otherwise details are sparse. In December, Blizzard teased that a new Mei skin would be released early in 2017, sparking speculation that a Lunar New Year event was coming. 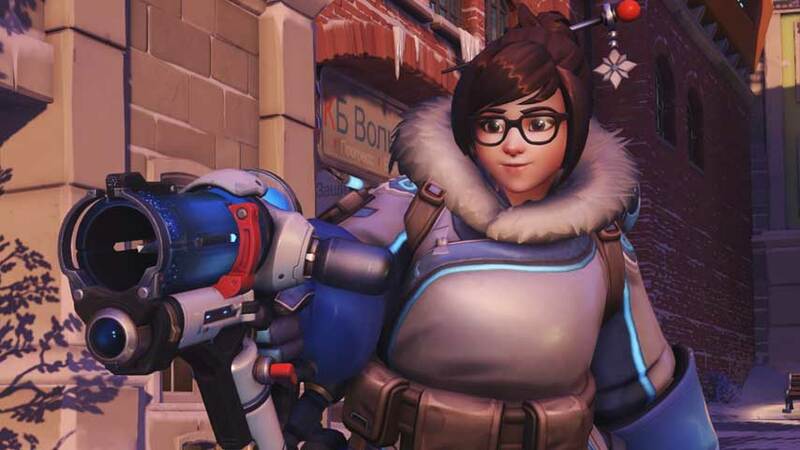 If the outfit in Overwatch’s video is any indication, it’s certain to make fans very happy—a stark contrast from the response toward Mei’s legendary Winter Wonderland skin that disappointed many. An update from Overwatch’s Korean Twitter suggests D.Va is getting a skin for the holiday, too. Given the proximity to the Winter Wonderland event, which ended earlier in January, it’s unclear just how big the Year of the Rooster event will be. It could just be a couple of skins, but we’re hoping the event rivals Winter Wonderland and Halloween Terror and gets its own special brawl. A celebration of the start of the lunisolar Chinese calendar, Lunar New Year begins Jan. 28, ushering in the Year of the Rooster.